Keeping waste flowing down the pipe translated to raises across the board for employees at Sewer Equipment Co. of America, and more plans for growth are in the works. The 76-year-old business moved from Chadwick to Dixon in 2012 into the former Johnson Controls facility at 1590 Dutch Road, and has grown steadily during the past decade, said John Wichmann, executive vice president of operations. Sewer Equipment continues to grow and create innovative new products. Several years ago, the company’s employee headcount was 45; that number now is about 130. “We’re currently in hiring mode as we speak looking to add about 20 people,” Wichmann said. H.T. 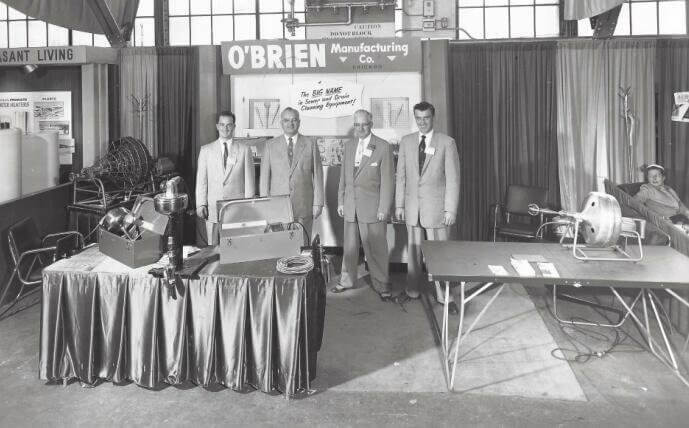 O’Brien’s humble beginnings with Sewer Equipment. The business is in the name – it produces a variety of sewer and drain-cleaning equipment, ranging from city-grade infrastructure to household pipes. It started in 1941 with a drain snake, a simple hand crank attached to a bendable spring line created by H.T. O’Brien who proceeded to found O’Brien Manufacturing Co, soon to be known as Sewer Equipment Co. of America. “It was the seed that prompted Sewer Equipment Co., and we’ve progressively gotten bigger and bigger,” he said. All employees recently received a raise, which comes to an extra $150,000 a year shared among all workers. 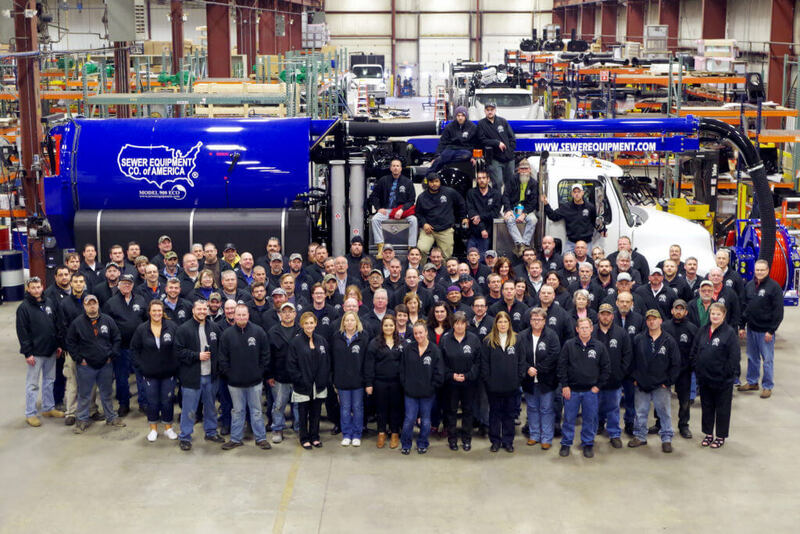 Founded in 1941 and located in Dixon, IL, Sewer Equipment manufacturers the widest range of sewer cleaning and hydro excavation equipment in the marketplace under its Ramvac, Mongoose Jetters and Sewer Equipment Co. of America brands. The sewer cleaning and hydro excavation markets are ever evolving and require manufacturers to be forward-thinking and innovative, which we strive to be at Sewer Equipment. Providing our customers with “The Best Product. Best Local Support” is how we do business and stand behind our commitment to providing equipment with the best fit and finish in the industry. For more information about Sewer Equipment and all our brands, please visit http://www.sewerequipment.com. Looking to join a constantly growing and progressive company that excels at innovation and simplicty? Then take a look at our current job listings.